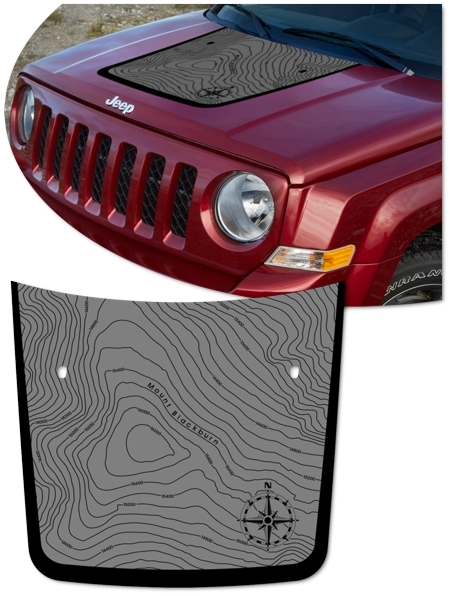 Add a tough look to your '07-'17 Jeep Patriot! This awesome Blackburn1 Edition body side graphic kit is designed to fit perfectly on your Patriot's door panel areas as shown. Available in four (4) print colors (Silver shown), kit is precut - NO TRIMMING required. 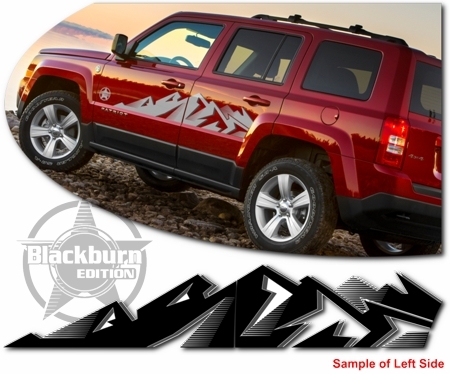 Kit includes (3) "Blackburn Edition" badges that can be placed on each door, fender and rear as desired. 1 Mount Blackburn is the highest peak in the Wrangell Mountains of Alaska in the United States. It is the fifth highest peak in the United States and the twelfth highest peak in North America. Our graphic kit celebrates this tough peak.